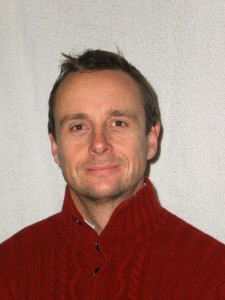 Darren Frost is the founder of Cambridge Ecology. He is an experienced and highly proficient ecologist consultant with strong analytical and quantitative skills in the area of ecology and particularly birds. He has conducted complex ecological surveys and ecological impact assessments, designed innovative survey techniques, overseen major habitat creation programmes and ecological management plans for a wide range of projects. Darren is responsible for project management, planning and undertaking various ecological surveys. such as advising on issues associated with protected species such as bats, Badgers, Great Crested Newts, birds, reptiles and Water Voles. His role also includes addressing licensing issues, mitigation plans and supervising activities to ensure compliance to various legislation and planning conditions such as Section 106 conditions. Projects have included new town spatial planning projects, conversion of military sites to new towns, eco-town developments, railway stations, transport schemes and English Heritage building conservation works. Darren and his team have prepared numerous survey reports, biodiversity chapters and ecological impact assessments for inclusion in Environmental Statements for submission with planning applications. He has also carried various research projects including developing innovative nocturnal bird survey methods, data collection methods for GIS and the integration of ornithology and ecology into major engineering and building development projects throughout the UK. He has written numerous ecology papers, chapters for books and articles relating to biodiversity survey methods and bird ecology. Darren holds Natural England survey licences for Bats – including handling, Great Crested Newt, White-clawed Crayfish and Schedule 1 bird species disturbance licence for Barn Owl.